I've always been intrigued by the myth of Kokopelli. My mom, who is a folk-art painter, created a painting of Kokopelli which inspired me to design a scene in plastic canvas, originating from her artwork. 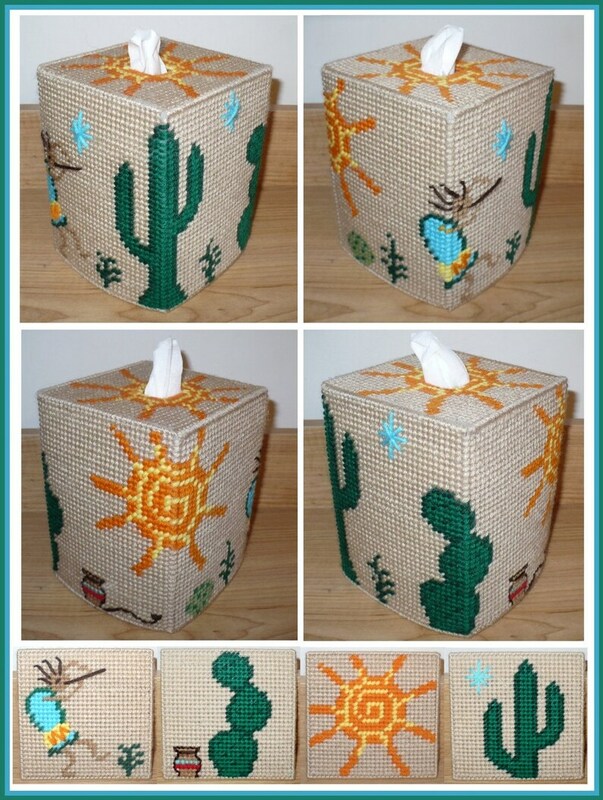 This project features the ancient flute player, Kokopelli, on a boutique tissue box cover and 4 coasters.